This was another movie I was admittedly skeptical about as I entered the theater. For one, I haven’t seen the first Sin City, which came out nearly a decade ago. The other reason was that I saw this movie get a rather less-than-stellar Rotten Tomatoes score. Nonetheless, I jumped in anyway. 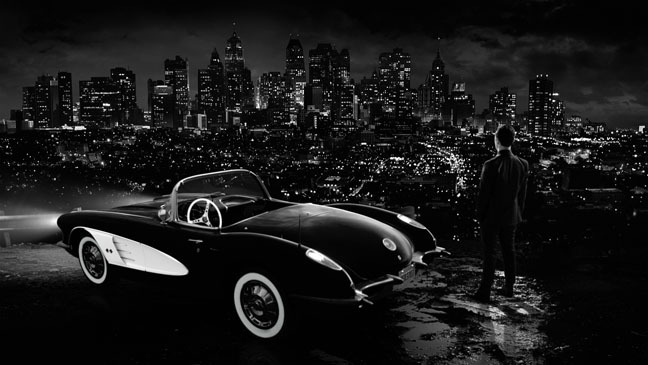 Sin City: A Dame to Kill For is a series of noir vignettes that take place in the titular city. Right from the get-go, you know you’re in for a good time. The first story is Marv (played by Mickey Rourke) as he wakes up in the middle of a car accident and tries to remember how he got there. Soon enough, we also meet Johnny (Joseph Gordon-Levitt), a very lucky gambler, Dwight McCarthy (Josh Brolin), a spurned lover, and Nancy (Jessica Alba), a vengeful stripper. For the most part, I had fun with A Dame to Kill For. The visuals, which were mostly black and white with some things intentionally colorized, were absolutely gorgeous. It is definitely a movie where, if you have to see it, you should see it on the big screen. While I’m unfamiliar with the Frank Miller graphic novel series upon which the movies were based, I thought Robert Rodriguez did a good job of adopting a comic book visual style that also worked as a movie. The special effects were top-notch. The pacing in A Dame to Kill For was the girl with the curl. When the movie was fast, it moved at an absolutely lightning pace. When the movie slowed down, it absolutely dragged. I think it might be because much of the movie was as action-packed as it was that the slower scenes really felt like they hurt a lot more. It was most problematic in the titular story, which followed Dwight as he tried to rescue his ex-lover Ava (played by the absolutely gorgeous former Bond girl Eva Green). As it was the title story, A Dame to Kill For ate up the most time at about half of the movie’s total runtime. That story had its moments, but I actually felt like it was a bit longer than necessary. Certain scenes, like when Ava discusses a plan with a crime lord to take down the prostitutes of Old Town, could have been cut with absolutely no consequence to the progression of the plot. I was also expecting the subplot involving a corrupted police detective to go a bit further than it actually did. Despite that and the fact that I haven’t seen the first Sin City, I felt like I enjoyed A Dame to Kill For overall as a movie. Almost all of the dialogue is corny as all hell (“An atom bomb exploded between my legs.”), but Robert Rodriguez and the cast made it work for the movie. It was nowhere near the best movie I’ve seen this summer, but it was nowhere near the worst either.